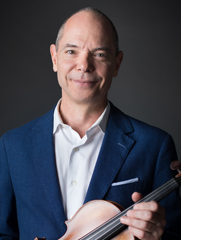 Founder and director of the Peachtree String Quartet, Christopher Pulgram has been a first violinist with the Atlanta Symphony Orchestra since 1992, and has recorded extensively with the Orchestra. 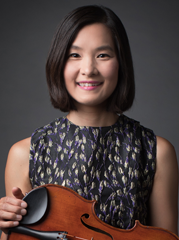 Since 2007, he has also been the concertmaster of the Wintergreen Festival Orchestra. 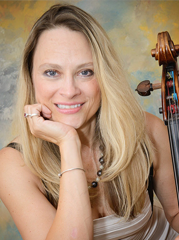 He performed in Europe and the U.S. as principal violinist with the Zurich Chamber Orchestra and as a soloist with orchestras in the U.S., Switzerland and Italy, including 2001, 2003 and 2005 performances with the DeKalb Symphony Orchestra. 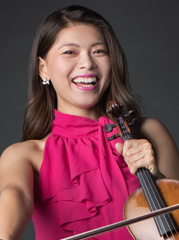 Mr. Pulgram has served as concertmaster of the Elysium Chamber Orchestra in Atlanta and as assistant concertmaster for the Atlanta Symphony Orchestra for two years. He has recorded with Usher and the group Collective Soul on its “Dosage” album. Mr. Pulgram recently recorded with Bruce Springsteen. Mr. Pulgram graduated under the tutelage of Ruggiero Ricci from the University of Michigan’s School of Music, where he received the Norman F. Maier Distinguished Music Student Award. As winner of the Atlanta Pro-Mozart Society Competition, Mr. Pulgram attended the Mozarteum in Salzburg, Austria, where he coached with Sandor Vegh. After studies at the International Menuhin Academy in Gstaad, Switzerland, Christopher Pulgram toured Europe, Scandinavia, Canada and the Far East, performing as soloist and chamber musician with Yehudi Menuhin and Camarata Lysy. He has recorded on the EMI label with Maestro Menuhin at the Abbey Road studios in London. Mr. Pulgram was the violinist of the Atlanta Chamber Players for 15 seasons, and has recorded extensively with that ensemble.